Garney's Adoptables My angels are a character set of mine from my novel, Falling Towards Heaven. Gradually, I'm attempting to gather adoptables of them. Click on their baby images to take you to their pages. 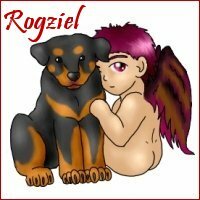 Rogziel is a rougher sort of guy, but I adore him. Makatiel is his partner. Leliel is a moody pretty thing. Kushiel usually follows right behind him. Lahatiel is insane and hyper. 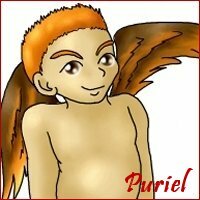 Puriel is his partner, often in crime. 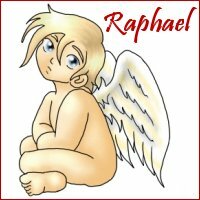 Raphael is a wise old fellow, and hyper little Uriel is his partner. 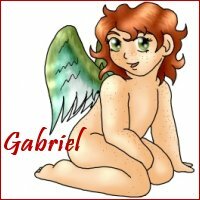 Gabriel is indeed that famous messenger angel, and dark Samael is his partner. 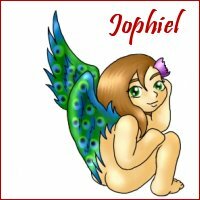 Jophiel is a pretty hermaphrodite. 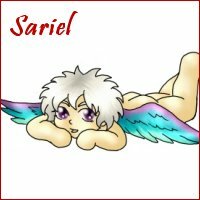 Sariel is Jo's partner. 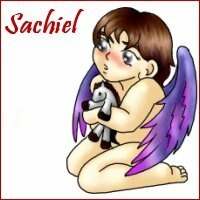 Sachiel is a shy little thing who often blushes. 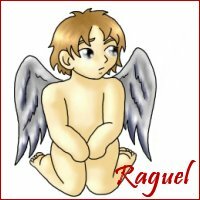 Raguel is his partner. 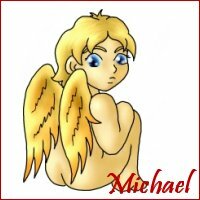 Michael is that other famous angel, and beautiful Elias is his partner. 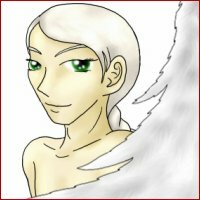 Lailah: A female, often silver or white with dark blue eyes. Aurora: A female of gold or white, Michael's female counterpart. Mary: A female of gold or white, Raphael's female counterpart. Dina: Female counterpart of Jophiel, often green and/or blue. Nathaniel: A large male of dark blue colors. Sachiel's bodyguard. 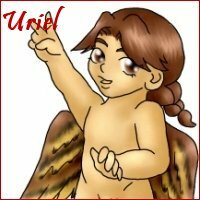 Cassiel: Usually a male of purple color. 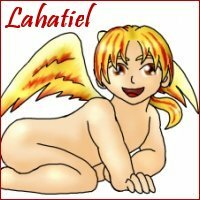 Shoftiel and Hutriel: Other punishing angels, usually of fiery colors.